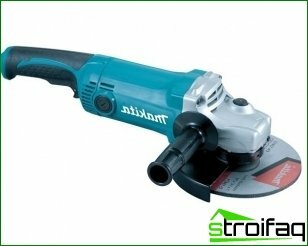 Angle grinder - sometimes veryan indispensable tool in construction. Shorten angle grinders. Back in the seventies of the twentieth century, when the market appeared instruments of Bulgarian producers, LBM was called "Bulgarian". Using grinders, you can sufficiently high level and to cope with the huge front works of varying degrees of difficulty, the main task of which is placed grinding, cutting, cleaning and surface treatment of many different materials (such as stone, wood, metal). 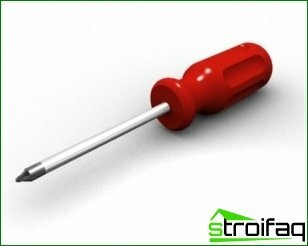 The operation of this tool lies in the fact that the energy from the motor is transmitted to the moving member (the cutting blade, toothbrush) creating a rotation at high speed. 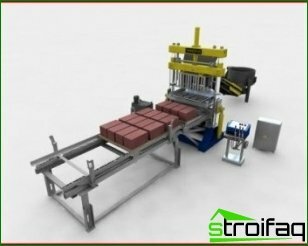 The employee should only skillfully guide the tool in the processing of materials. 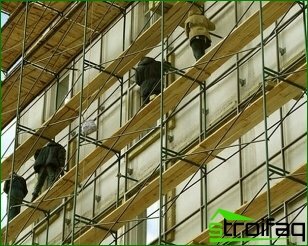 Bulgarians are divided into professional andhousehold. They differ, usually the price and design. However, as with any construction tool, first of all, we should define the goals and objectives set by the works. Household grinders in most cases, differentslim design and low cost, but have less endurance, since it is not provided in order to overcome a decent load. 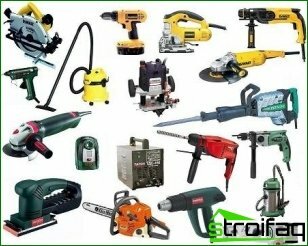 Wrong to consider them inferior in comparison with the professional angle grinders, because the tool must correspond to the volume and complexity of the work, and it is not necessary to buy an expensive machine for homework, after which it is for the most part, will lie idle. 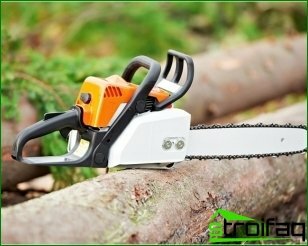 Conversely, if the planned work will be lengthy, differing complexity and intensity, it is better to think about the purchase of a powerful professional grinders. 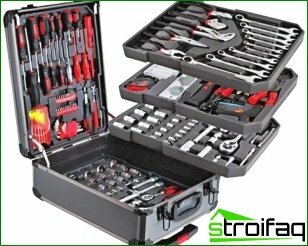 Most bolgarok reliable and made of good materials, they are durable in operation. When used correctly, the instrument is capable of every day to withstand heavy loads. 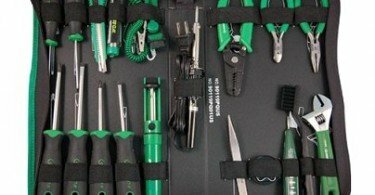 However, professional equipment is much more expensive than domestic. 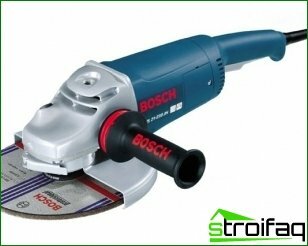 Low-power grinders are used to work oncutting sheets up to twelve centimeters thick. 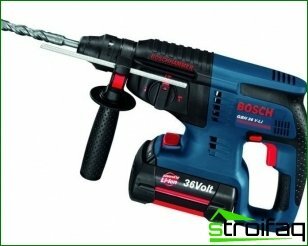 LBM average power can overpower the diameter of fifteen centimeters, while high-power tool will allow you to work with the material to twenty three centimeters thick. In other words, it is important to determine in advance which instrument best way to cope with the task, which is placed in front of you. Grinders come in different versions: to attend one hand while performing work for the participation of two. LBM for one hand are more convenient to rearrange or cranked lever gearbox. 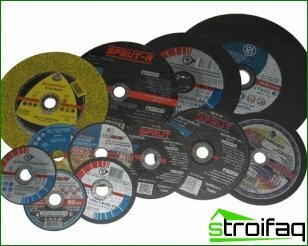 They are basically two types of cutting discs and grinding wheels. Among other things, different fastening method, the type of abrasive grain parameters. Well, of course the diameter. To decide about the compatibility of nozzlesto the material, there are markers on the circles. The abbreviation "A" indicates that the disc is made of corundum, and it can be used for sawing and machining of metallic workpieces. Marker "C" marked with silicon carbide wheels that work best with stone and concrete structures. Diamond wheels are different types of treatment of asphalt, concrete and granite materials. Bulgarians are purchased from tried and trustedcommercial producers, where tools and parts are exhaust control and production technology have long been worked out. When making a purchase, use the services of a test switching, wait until the maximum speed grinders. Pay attention to costs and to turn on and off on listening to the sounds (they must be clean, without unnecessary knocks) and smooth speed reduction. The enclosure must be strong, preferably made of metal(A magnesium alloy, titanium). Budget options enclosures made of plastic or aluminum alloys. Professional tool differs extra amenities in the form of an adjustable handle (having several operating positions) and guard (does not require an additional tool for self-regulation). So, what should be considered when choosing a grinder? First of all, reliability and compliance with assigned tasks. Then your job using the grinder is easy safe and quality.